Baptism, birthday or Christmas party – there are occasions for a family celebration in every season. We look forward to assisting you in organizing your celebrations and to give you and your guests an unforgettable day. 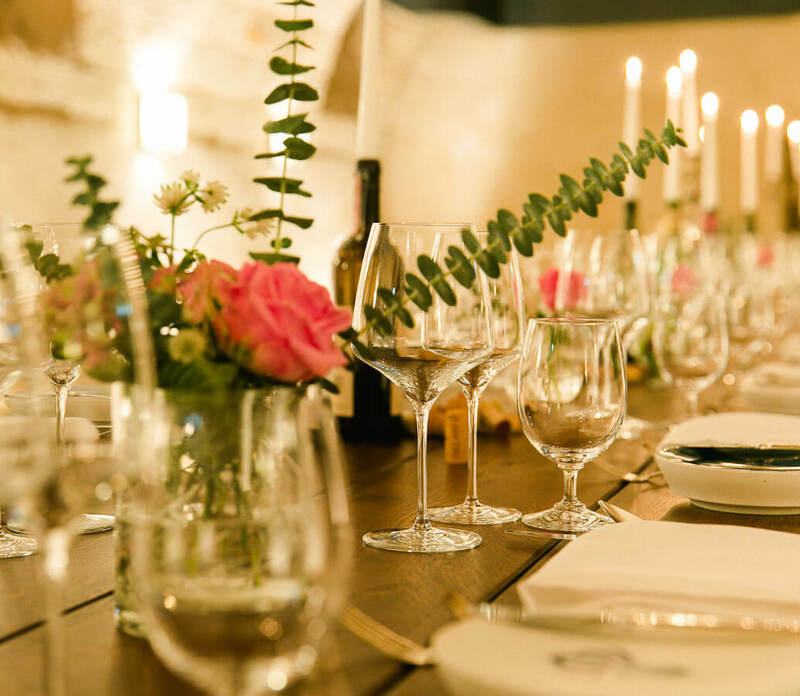 It becomes especially festive during a dinner in our restaurant Atelier Sanssouci, rustic with wine and rustic dishes in the wine cellar and family friendly in the coach house. No matter how you have imagined your perfect celebration – we realize your wishes. Modern technology, DJ, live band, flower arrangements and table decoration – in all these topics, we are happy to assist you. And if your guests have another journey, 14 historic rooms and a suite are available in our hotel.